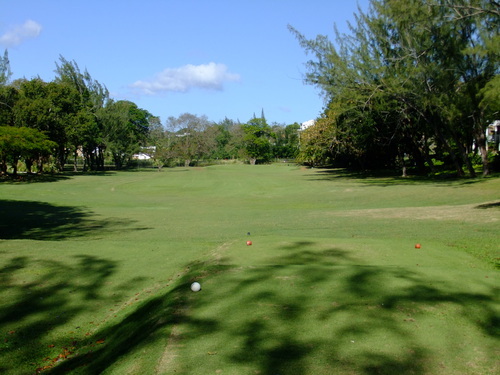 A short second fairway, trees to get under on the right and out of bounds on the left. 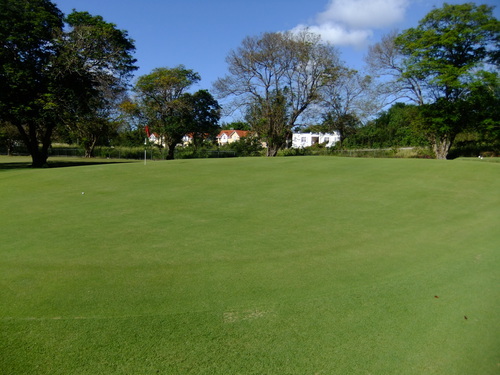 The entrance to the green is flanked by bunkers, with the right hand bunker continuing around the side towards the back. The bunker on the left has a very steep face up to the green. There is quite a slope on this green so finishing above the flag gives you a gentle putt that then rockets to the bottom!